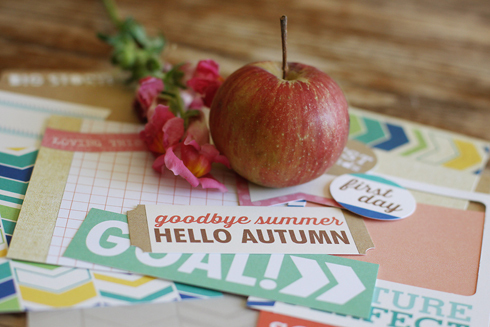 marilynmkingstudio: Capture Life - Capture the Process + A Giveaway!!! Capture Life - Capture the Process + A Giveaway!!! Today we are going to talk about capturing the progress of an activity & how to adjust to different lighting situations. Whether it’s your kids building a Lego creation on the living room floor or you dishing up your favorite recipe in the kitchen; each situation presents different lighting challenges. 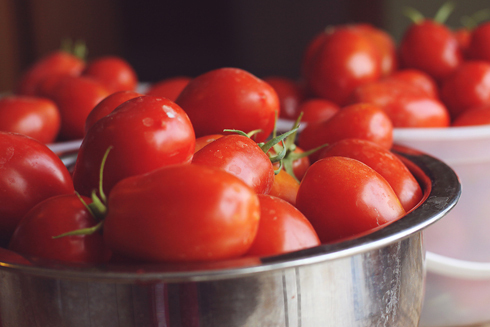 Recently my life has been filled with tomatoes, yes tomatoes! LOTS of them. 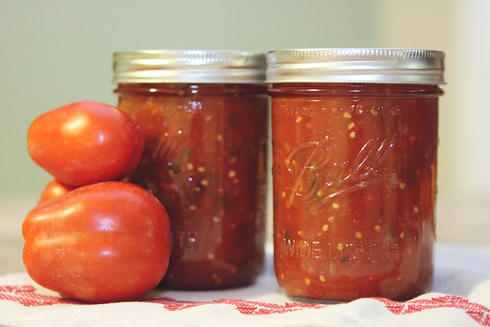 We have spent hours canning, freezing, & doing everything we can think of to use them up! 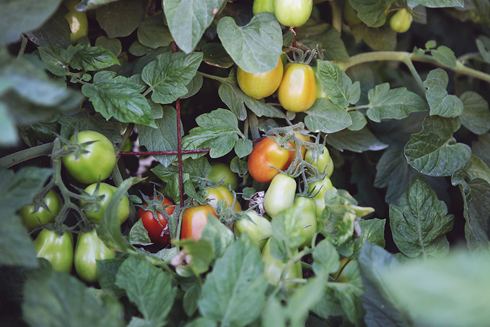 I wanted to include this process in my Project Life album not only to look back on next year as a reminder to NOT plant so many plants, but also to capture how we are turning our hard work into something we’ll get to enjoy all winter long. The lighting on this photo is of course natural lighting as it was taking in my garden. I like to shoot in the early evening hours to get that beautiful golden glow of the summer evening and to avoid harsh shadows. 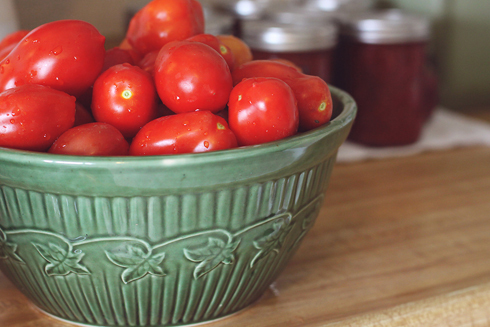 After begging my husband and kids to go out and pick bucket loads of said tomatoes, I had a sea of red on my kitchen table. I used my large kitchen window to the right of my subject for this situation. This is my “go to” lighting spot in my house. Do you have one of those “spots” in your home? If not, find one! It makes shooting images such as this much easier & consistent. Other than the one window in my kitchen, I don’t have the best lighting in there leaving my counters & stove top resulting in wonky colors. I typically have to amp up my ISO or use my external flash to bounce off of my ceilings. 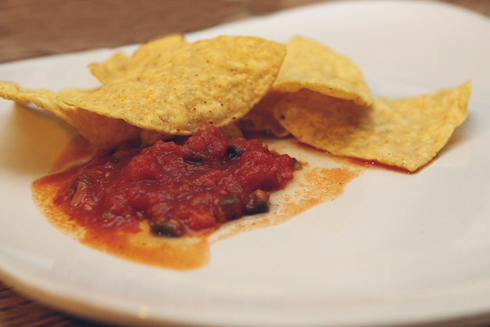 The next image was captured by standing on a step stool and shooting from above. 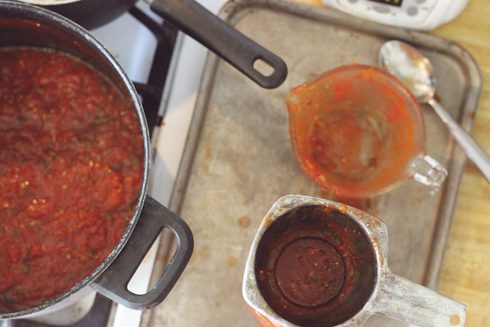 I wanted it to include not only the salsa cooking on the stove, the old metal funnel that was my grandmothers, but also the mess the process creates! Again, you’ll notice the very high ISO to get the lighting I wanted. Once I finally got the point of having a few cans finished it was dark outside; leaving me with only my one yellow “yucky” color light in my kitchen. This is where I bring out my external flash. When using my flash I typically don’t point it directly at the subject. I will point it either straight up to bounce off the ceiling or at slight angle to bounce off of both the ceiling and wall behind. This helps eliminate those harsh shadows as well. Now, let’s get those photos on a page & our memories recorded! This week I am working on catching up with my Project Life album. 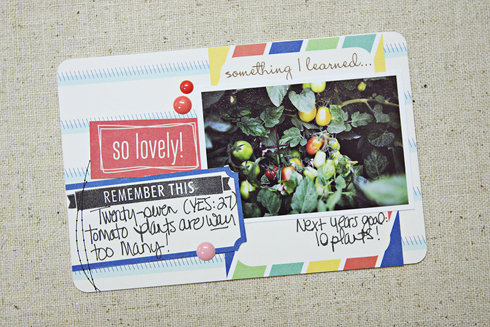 I created a simple 4x6 insert for my page with the tomato plant photo, a variety of the tags from the September Kit (that goes live tomorrow!) as well as a tag from the new Penelope collection. Be sure to check back tomorrow to not only pick up this wonderful new kit at a discounted price, but to also be inspired by the amazing design team gallery! I hope today’s post gets you snapping in a whole new light. Now go on – get out and Capture Life! We have a special giveaway for you guys today! 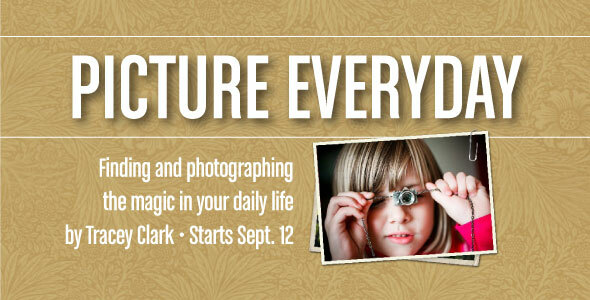 We are excited to giveaway a spot in the next Big Picture Class called Picture Everyday! One person will win a spot in this class that starts on September 12th with Tracey Clark. Just leave a comment to be entered to win and we'll draw the winner on September 11th, and post it here on our blog!